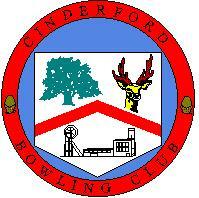 Cinderford Bowling Club was established in 1987 and opened its green in June 1992. The following year the club affiliated to the EBA and GBA and not long after joined the Wyvern and CMA Leagues played in the Wye Valley and Forest of Dean. During the 1990s the club progressed by entering county competitions, providing county players and also setting up a base for partially sighted people to play bowls. Whilst the club plays many mid week league games, considerable importance is placed on weekend friendly matches where the social side of the sport is emphasised. The club plays many annual fixtures with clubs from Gloucestershire and the surrounding counties. The club has a fully qualified coach and therefore any newcomer to the sport can receive good basic training for the game. Wednesday evenings are set aside for Club Nights and this is a good time for newcomers and visitors to come along and introduce themselves. Annual Tours are arranged by club members and Bowls Tourists to Gloucestershire are very welcome to play here. Cinderford BC is a friendly club which tries to cater for all players no matter at what level they wish to play the sport.